For those wanting to try CBD – especially people who need to address chronic pain or insomnia issues – sometimes standard 100mg concentration tinctures simply aren’t enough to get the job done. CBD, also known as Cannabidiol, is a phytocannabinoid found in cannabis plants. However, CBD differs from THC – the compound that gets you high – and has zero psychoactive effects on the user. But CBD is getting so much positive attention these days as it has helped thousands of people to deal with sleeplessness, pain management and even the treatment and management of more serious conditions like epilepsy and diabetes. CBD comes in many different forms – from edibles like cupcakes to CBD Isolates and Powders. The difference in delivery method is a factor when choosing the best CBD for your needs but overall potency and strength are also factors that need to be taken into account. While CBD induces feelings of euphoria and tranquility for many people; those suffering from serious pain or heavy insomnia will need to opt for a more powerful option, and that’s where 1000mg CBD Oil comes into play. 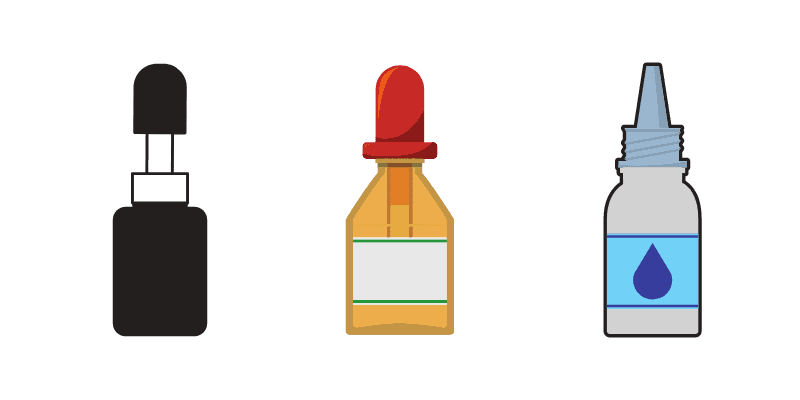 While there’s plenty to be said for 100mg concentrated CBD in tinctures, sometimes that just isn’t enough to pack the punch one needs. When using a 1000mg CBD product like the ones we are featuring today, you can rest assured that you’ll get the badly needed relief you need quickly and efficiently. For those who want to buy CBD Oil online, it’s well worth taking a few minutes to check out the top-quality items below, which include some of the best CBD tinctures available on the market today. Joy Organics have been a main player in the CBD world for many years, and have a solid reputation that precedes them. Joy Organics pride themselves on bringing the very best quality CBD products to their customers and offer a range of top-shelf products including CBD softgels, CBD Salves, and CBD Vape Pens. But the Joy Organics 1500mg Tincture is the one that packs the strongest punch of all according to many satisfied customers. First of all, the sublingual drops offer fast and effective relief from a wide variety of issues. Each drop contains full spectrum, THC-free phytocannabinoid-rich hemp oil. This powerful tincture also comes in a range of flavors: Natural, Orange, Lemon, and Mint – so you have the option to choose the flavor that suits you best or to switch them up from time to time. Each 30ml bottle contains organically Grown Full Spectrum Phytocannabinoid-Rich Hemp Oil, Grape Seed Oil, Hemp Seed Oil, and flavorings. The company suggests 1-4 servings per day, taken under the tongue with a glass of water if needed. 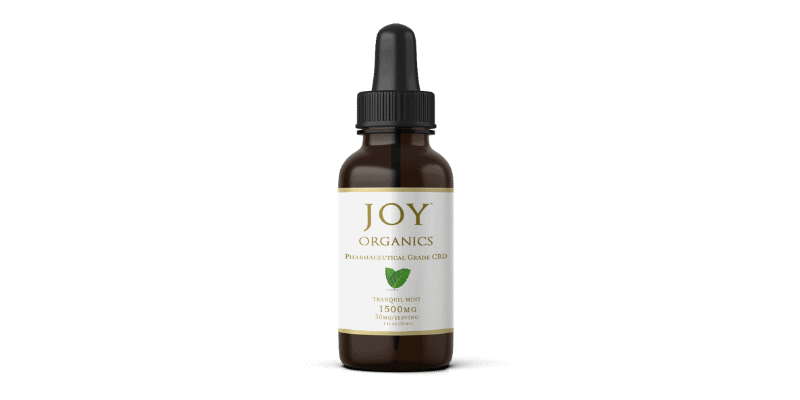 Joy Organics also claim their 1500mg tincture has an 18-month shelf life and should be stored in a cool and dry place. The other thing that makes the Joy Organics 1500mg Tincture a great option is that they carry out substantial contaminant analysis on the product. It contains no heavy metals, toxins or residual solvents and is manufactured in the USA. When it comes to choosing the right CBD Oil for you, Joy Organics are a name that is trusted within the CBD community. And if it’s immediate and effective pain relief you are after, this product is second-to-none. The first thing that strikes you with Savage CBD’s Pink Grapefruit Tincture is the packaging. Presented in a well-designed and colorful box, the bottle inside is also packed full of CBD goodness and is available in three different strengths. 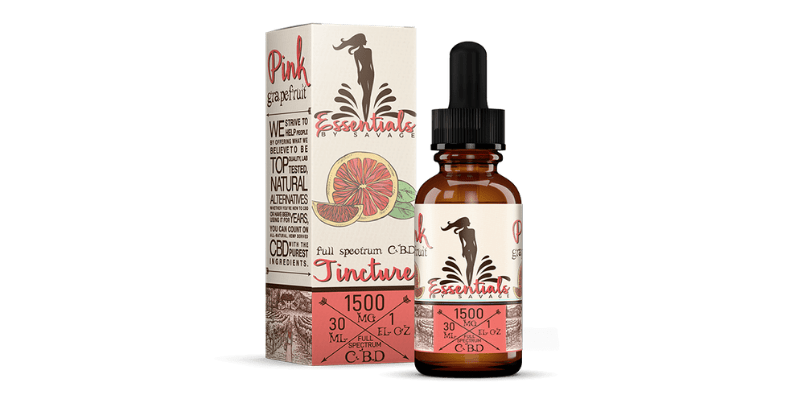 Their CBD Tinctures are also one of the tastiest, most refreshing out there on the market today; and some people even claim it tastes like real Pink Grapefruit. But there’s also their Lemon/Lime flavor which is equally popular. It can be popped under the tongue for maximum convenience or added to your favorite drink if you’re on the go or having a busy day. This 30ml bottle of pure goodness contains only full spectrum CBD, essential oils and some terpenes which naturally occur during the extraction process. But this product differs from many others out there in a completely different way. Many people who buy CBD Oil online only get the choice of one specific CBD Concentration. Savage Pink offers their customers three CBD Concentrate levels: 1000mg, 1500mg and 2000mg. That way you can find your perfect sweet spot for just the right amount of CBD Concentrate for you. There there was a customer called Kathy who said she benefitted greatly from this product for her insomnia. “I have tried so many products that sort of help with my insomnia. I had never heard of Savage CBD before, so I was very scared to grab some of your CBD oils, but I am glad I did. My mom even loves this Oil! Thank you for this great quality cbd product,” she wrote. If it’s a refreshing, everyday CBD Tincture that hots the spot every time, you can’t go wrong with this one. 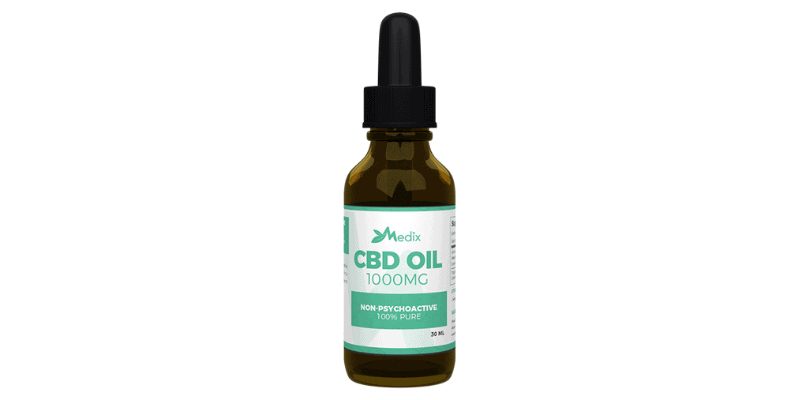 MedixCBD pride themselves on the highest standards and the very products for their wide variety of customers around the globe. They use only the finest-quality Hemp from farms in Kentucky and each and every ingredient in their Medix CBD Oil is lab-tested. MedixCBD’s top-shelf CBD Hemp Oil comes in an easy-to-use oral droplet form, infused with the finest ingredients for that ultimate experience. Each 30ml bottle contains 1000mg of CBD – including a balanced formula of 99.9% pure CBD Isolate and pure hemp seed oil. This product is 100% non-psychoactive and is grown using organic growing practices only. Each 1ml serving provides 33.33mg of best-quality CBD and is pleasant-tasting as well as suitable for vegetarians and vegans. The company also provides fully transparent third-party lab-results for their products and are a name well trusted by those in the know in the CBD world. While 100mg CBD Concentrate may be enough to treat some milder conditions, for more serious or chronic issues, 1000mg CBD Concentrate is recommended, and even 2000mg for the most advanced CBD users. Find the CBD Concentration that’s right for you before you buy CBD Oil online.